Susanne Winnacker: The YAmazing Race! Your book sounds SO good!! Thanks so much for being a part of the race, I'm having a lot of fun :) And thanks for the giveaway! What a cool looking trailer! 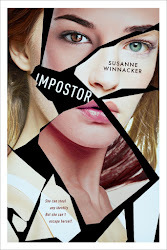 Also, your book sounds amazing (I like the UK cover more than the US one, darn.). I've been seeing your book in a lot of places :-) Thanks so much for the giveaway! I wished I lived in the UK! The Other Life sounds awesome!! It's on my to-read list for sure. My email is redfearnv at gmail dot com. Thanks for the giveaway! This book sounds really great! I can't wait to get the chance to read it. This looks really good. I'm going to put it on my to read list!! I really want to read this!! Thanks for the giveaway! YAY YAY YAY Thanks soooooooo much!!! I can't wait to read this one!!!! Wow. Sounds great. I wish it were coming out in the US in February. this book...I'm speechless. I can't wait to read it, I must must read it! Thank you for the giveaway! This sounds awesome, I love dystopian. Thanks for the chance t win. The Other Life looks so awesome and unique! (And not many dystopians these days are that unique, so this is a big deal. I'm giddy with the awesomeness of this synopsis.) Thanks for the giveaway! This sounds so incredibly exciting! I can't WAIT to read it! I love the whole dystopia/post-apocalyptic genre and This Other Life sounds like it is exactly the kind of book that will keep me up all night reading! The Other Life sounds brilliant! Thanks for the extra contest! The Other Life sounds interesting. By the cover, I wasn't expecting a dystopian. Very cool! I was thinking of Shatter Me at first when I was reading about how many days it had been since she'd been outside, but then the rest sounds nothing like it! World War III? Zombie Apocalypse? Plague? Can't wait to read it! I've wanted to get my hands on this one for months!! I'm really excited for this. I must read it very soon! I totally got shivers watching the trailer! Great cover, fantastic plotline. Definitely on my to read list! That trailer just gave me the shivers! And I love both the US and the UK covers as well! 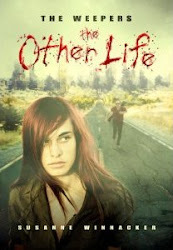 I've had The Other Life on my Goodreads to-read shelf for months, thanks for the chance to win a copy! 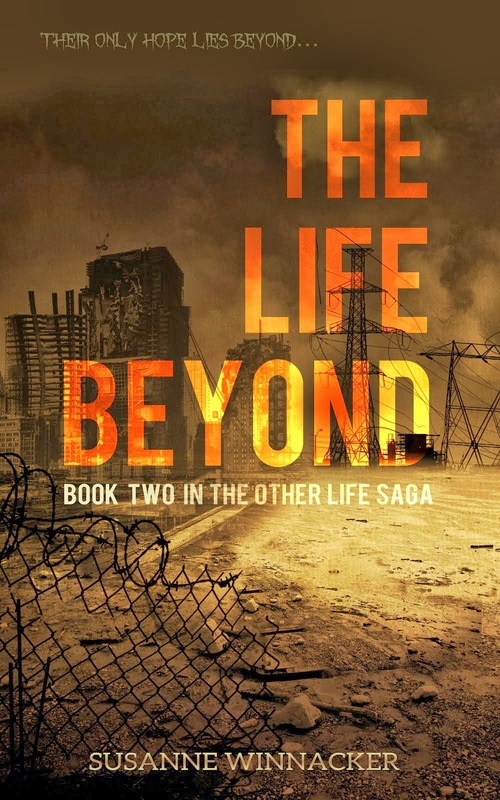 thanks for the opportunity to win a signed copy, the other life sounds so interesting! Oooh this book sounds deliciously thrilling! Thanks for the bonus giveaway! And thank you so much for making it international. Your book sounds very interesting. A little different to the stuff I ususally read but it is very intriguing. The Other Life sounds really good. I'd love to read it! I can't wait to read THE OTHER LIFE!! Thanks so much for this giveaway! My fingers are crossed! Thank you so much for the giveaway! I can't wait to read your book. Great trailer and story! Thank you for the giveaway! This sounds AMAZING!! Thanks for the giveaway! I've been looking forward to this one for some time now. Thanks for the giveaway! 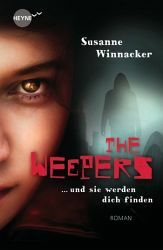 Okay, i want this book right now!!! Wow this book sounds really good! Your book sounds AMAZING! I'm really into to dystopians write now and yours looks amazing! Thanks so much for the giveaway! I can't wait to read The Other Life! Very exciting, thanks for the give away. I hadn't heard of this book before. :) Very glad for this YAmazing race showcasing all these titles. Your book sounds awesome. I'd love to win. Thanks for the contest. I really like the music for your trailer. Sounds dark. And good. I also really love the UK cover. 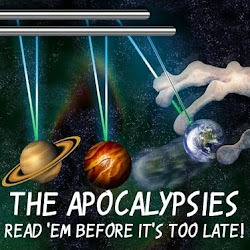 This is very apocalyptic! And the trailer was eerie and enticing both at the same time. I also love the cover design of the red butterfly. I wouldn't have noticed the imprint images of the people on the wings if it wasn't for the book trailer. Cool! I'd LOVE to win the ARC for my book collection. Yay for YAmazing Race! Hmm... sounds familiar. It's like Shatter Me. This should be a good read. Thank you by the way with this giveaway. This book is intriguing! This book looks really good! I always love dystopian-esque novels! I can't imagine the thought of living so long without seeing daylight! Thanks for the giveaway! Awesome giveaway! I can't wait to read this. The trailer looked awesome! Thank for being a part of the race and for the awesome giveaway! GREAT trailer! it looks amazing! I can't imagine living isolated for a month, let alone years. sounds like a good read. I really like the UK cover and I didn't know there was a difference. Thanks for the giveaway! Sweet!! sounds like an awesome book! Oooh, this books sounds good! And I love the cover- simple but stunning. :) Can't wait to read it! This sounds so good! I would love an ARC. THE OTHER LIFE sounds fabulous! Thanks for the giveaway! 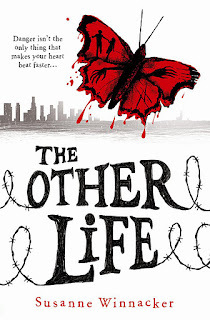 I really want to read The Other Life but I can't find it anywhere! This sounds like a great book! Congrats on your debut! Your book sounds great! 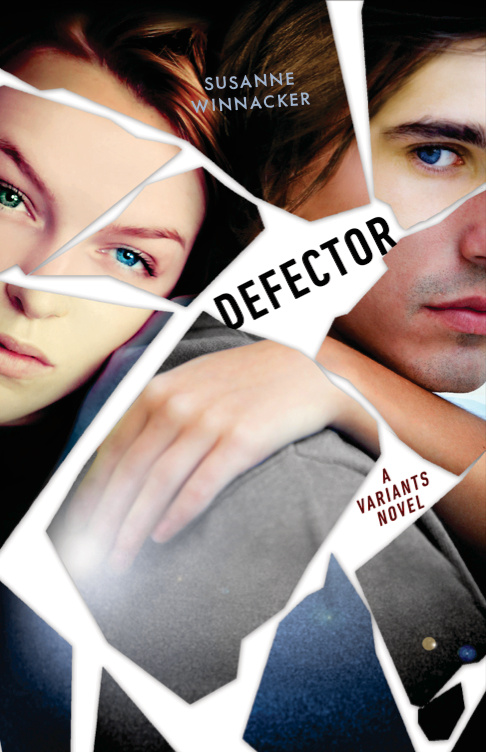 Thank you for the chance to win a signed ARC! Really like the U.K. cover. Very cool. Good luck with the book! Wow your book sounds amazing!! I have to say I like the UK cover better than the US one. Can't wait to read this one :) Thanks for the great giveaway as well! OOOOHH!! Beautiful cover and intriguing blurb!! And I agree with Andrea, the UK cover is better than the US one. Thanks for the giveaway!! 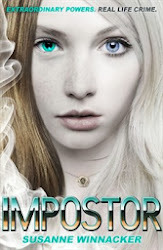 Your book sounds great and OMG I love the cover so much :) Thank you for the giveaway! I love the butterfly on the UK cover - love the colors (color?) as well! Wow Wow Wow!! I've been watching out for this book since mid-December! It sounds soooo gooood. Can't wait to read it. Oh I'm super excited to read The Other Life! It's so otherworldly looking and dystopian rocks! Thanks for the contest. I'm very excited about The Other Life. The race is over! Thanks so much for playing! The winner will be announced soon!